Moving Companies Fort Collins: Schedule Your Fall Move Today! July is winding down, and before you know it, summer will be over and fall will be here. If you’re thinking about relocating this fall, then it’s better to schedule your move sooner rather than later. 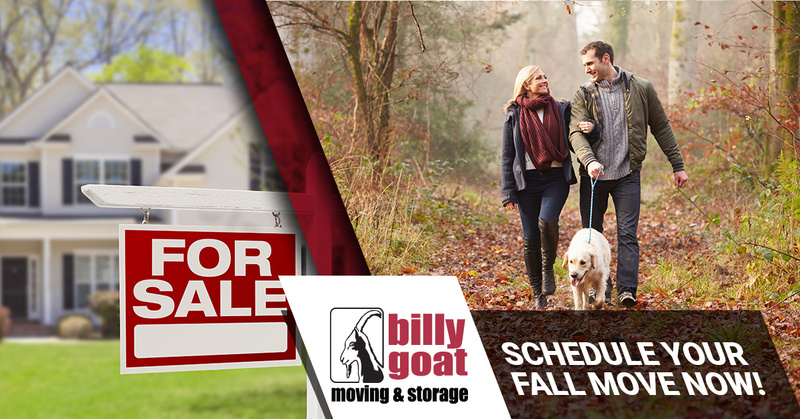 As your moving company in Fort Collins, Billy Goat can help you get your stuff from your old place to your new one, and you’ll be able to settle in before the last leaves fall. 1. Where Will You Move? You might have plans to move, because your lease is up or you’re ready for a change, but you might not be sure where you’re going to relocate. 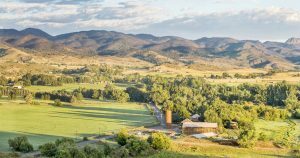 Perhaps you’re currently in Loveland and you want to move closer to Denver, but you haven’t decided where. We serve all of Colorado, and we can safely load all of your belongings in Loveland and transport them to Thornton, Lakewood, or wherever you’ve decided to move. Fall weather in Colorado can be unpredictable. It might be rainy and windy one day, and sunny and hot the next. Depending on how late in the fall it is, there could be a chance of a snowstorm, especially if you’re moving to the other side of the Rockies. Planning for all types of weather will make your move easier, since you’ll have the right clothes in your suitcase, and the right covers for your furniture. Our team knows how to move in any weather, and we’ll bring the proper gear to safeguard your belongings. Check out our blog from last year for some great fall moving tips. You might be thinking about moving everything yourself, or asking a few friends to help you, but as moving day grows closer, you realize how much stuff you have and how long it’s going to take you to move it all. By hiring a reputable moving company like Billy Goat, you can leave the heavy lifting to the professionals, and you can focus on getting your family ready for the move. If you’re starting school in the fall, or you’re about to begin a new job, then let us help ease the stress of moving by taking care of your belongings. At Billy Goat, we’re dedicated to be the very best moving company in Colorado. Even though we’re based in Fort Collins, we proudly serve the entire state and can safely transport your belongings from the eastern plains to the western slope, or from the Wyoming border to the Four Corners. If you’re ready to schedule your fall move, then please contact us today. We can help you find a date that works for you, and we are always available to answer your questions regarding your move. Once moving day arrives, we’ll be there on time, and we’ll make sure that all of your things make it into the truck and to your new home. If you need help with packing, then be sure to ask about our professional packing services.